Named after Qinghai Lake, the largest inland salt lake in China, Qinghai Province features colorful natural landscapes including snow-covered mountains, deserts, vast pastures and sparkling lakes, and is home to flocks of rare birds and animals. People of Han, Tibetan, Tu, Hui, Salar and Mongolian minority ethnic groups form unique cultures and folk traditions. 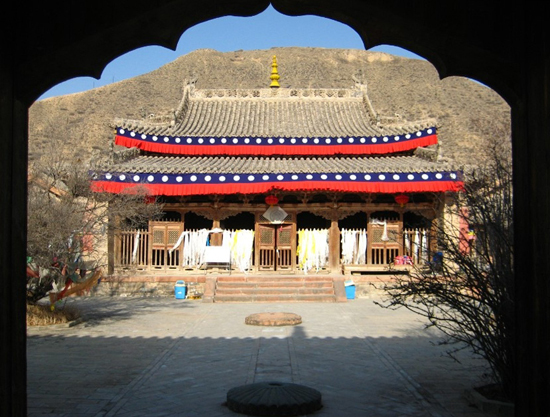 Established in 1392 during the Ming Dynasty (1368-1644), Qutan Temple has a history of over 600 years. Located 17 kilometers (10.56 miles) from Ledu County, Qinghai Province, it features a group of some of the most well-preserved Ming-style buildings in northwest China. The temple was built after modeling the structure of the Forbidden City in Beijing, so it is referred to by experts as "the imperial palace of the northwest." Its axis runs directly through its mid-section, dividing the temple into two symmetrical parts. The temple boasts for its magnificent architecture, precious cultural relics and large pieces of frescoes. It has become an important arena venue for religious activities as well as a tourist destination. Named after Qinghai Lake, Qinghai Province features colorful natural landscapes including snow-covered mountains, deserts, vast pastures and sparkling lakes.